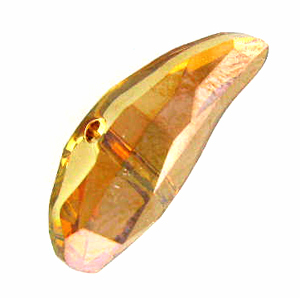 Very cool new shape from Swarovski for Spring 2008 - Aquiline! These are called center hole drilled (but they're not quite centered, more towards the fat end)! Sold individually per piece.